Black Friday Deals are flowing thick and fast across the 'Net, and few places more frequent than OverclockersUK. Graphics cards, CPUs, motherboards, mice, mugs (mugs?! ); they're all a part of their ongoing Black Friday Sale with new products being added every day. However the team have just revealed a new promotion which isn't part of their standard Black Friday faire, and it's well worth a look if you're just a touch tempted to a luxurious new gaming chair. The noblechairs EPIC is described as a "one-of-a-kind luxury gaming chair" with premium design and "100% vegan faux leather cover". If that sounds right up your alley then you'll be interested to know that the Black/Red Version (black upholstery with red stitching) is part of an exclusive bundle that can also save you money on your entire Black Friday order. If you add the noblechairs EPIC Series Black/Red to your order then that entire order qualifies for FREE mainland shipping. Furthermore, you'll also be able to nab a trove of treats including Overclockers UK Extreme Gaming XL Mug and the latest and greatest revision of the Overclockers Mega Mat 3XL Premium Elite Gaming Surface. Oh and don't forget the Haribo (seriously, never forget the Haribo). In total the bundle will save you over £60; not bad for a few clicks work. 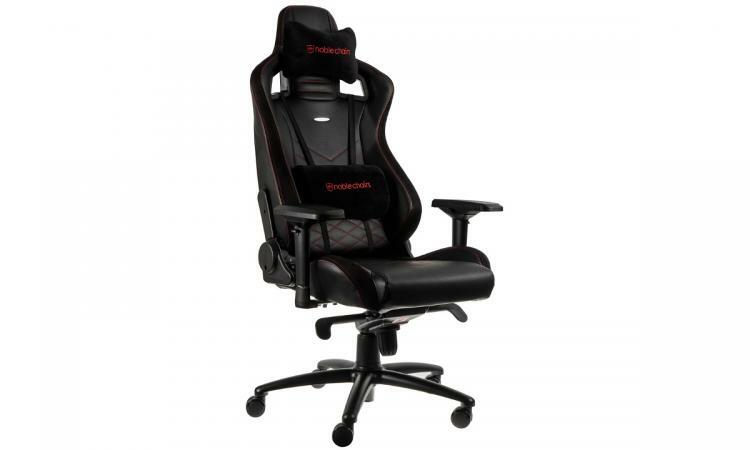 To activate the deal just add the chair to your basket though the following link: https://www.overclockers.co.uk/noblechairs-epic-series-black-red-gc-003-nc.html. Of course, this is just one of the oodles of deals currently on OCUK, with yet more to come as Black Friday approaches. Browse them all at https://www.overclockers.co.uk/offers/black-friday.